The inspiration behind the book. 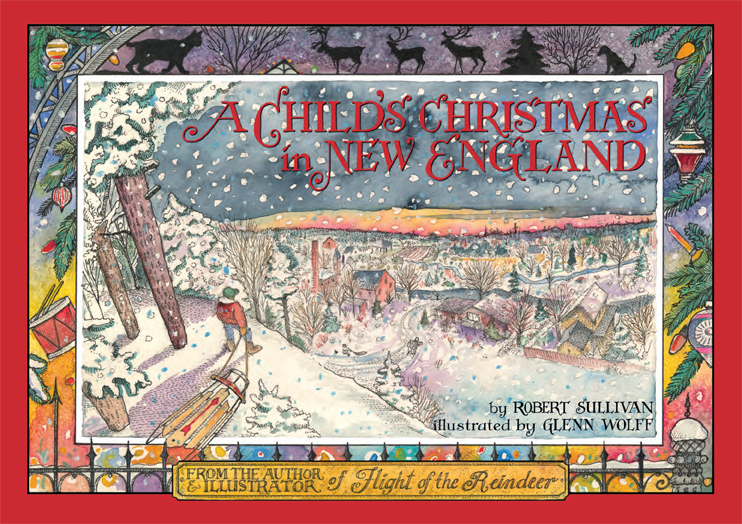 A Q & A with Robert Sullivan in the Book Section of this morning’s Boston Globe. Remember me? I’m the former editor of the High Sierra Trail Crew newsletter that you so graciously designed the title banner for. You know that the High Sierra Trail Crew leader, Shane Krogen, died tragically in a helicopter accident when he was working on cleaning up marijuana gardens in the wilderness. I love this book Glenn! As one who grew up in New England, I remember our tradition of several big families going out into the countryside “greening.” Some people cut down their own trees; we cut our own greens from low-growing plants (the name escapes me). Then we’d all go back to a big warm fire and listen to my father read “Christmas Every Day, ” by William Dean Howell. It was a favorite. Then, of course, we had a wonderful casual potluck feast and sledding at dusk!